In the end, you could call Hernandez’s showing ambiguous – neither awful enough to ensure an immediate ouster from the rotation, nor sterling enough to demand his continued presence. It was a night tinged with sadness. It is always that way when one’s mortality is on display for the world to see. Felix Hernandez once was the best in the world at throwing a baseball with evil intent, or at least in the conversation. He held that eminence for a good, long time. Now he was desperately trying to show that he still has a place in the Mariners’ rotation, that he can beat back the ravages of time for a little while longer. We all felt a little older just watching. The outlook for that attempt by Hernandez was not particularly bright. Everyone at Safeco Field knew what was at stake – or at least that portion of the crowd which hadn’t come trooping down from Canada for the annual Blue Jays’ invasion. Hernandez was pitching to show that he still belonged in the Mariners’ rotation, at a time when every bit of evidence pointed to the contrary. No one wanted to see the one-time ace, the vaunted King, reduced to a one-game audition, but that’s the hand he had dealt himself. When he came out of the bullpen after warming up before the game, Hernandez looked relaxed, chatting casually with catcher Mike Zunino as they sauntered in. He stopped to share a hug with his Venezuelan countryman, Toronto’s Yangervis Solarte, who was running sprints. And when he walked off the mound after a 1-2-3 fifth inning, his night finished, Hernandez slapped his glove in satisfaction, a faint glimmer of the type of histrionics that used to mark Felix’s dominant nights. This was not a dominant night. If you thought that Hernandez would somehow be able to summon the flash and sparkle of past years, well, that notion was dissuaded quickly, as quick as it took Justin Smoak to jump on a nothing fastball and line a double in the first inning. Hernandez survived for five innings, but danger was always lurking, and nothing seemed to come easily. Even the King’s Court, an anachronism at best in 2018 and a mockery at worst, seemed more subdued than usual – or maybe they were just drowned out by all that Jays’ commotion. In the end, you could call Hernandez’s showing ambiguous – neither awful enough to ensure an immediate ouster from the rotation, nor sterling enough to demand his continued presence. In those five innings, Felix gave up five hits (three of them doubles) and two runs, walking two and striking out two. He threw 92 pitches. Two of the innings, the second and fifth, were three up and three down. The other three innings were tight wires, wriggling in and out of jams. 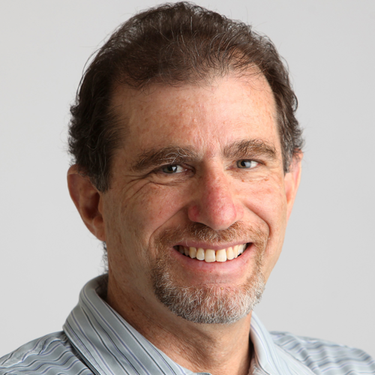 It took a jumping catch at the wall by left fielder Denard Span in the fourth, a ball that looked for all the world like it was heading for a three-run homer, to bail Hernandez out of disaster. But, unlike his last outing against the Angels, disaster was kept at bay. My hunch is that Hernandez did just enough Thursday to get the ball in Texas in five days, though manager Scott Servais was noncommittal when asked. 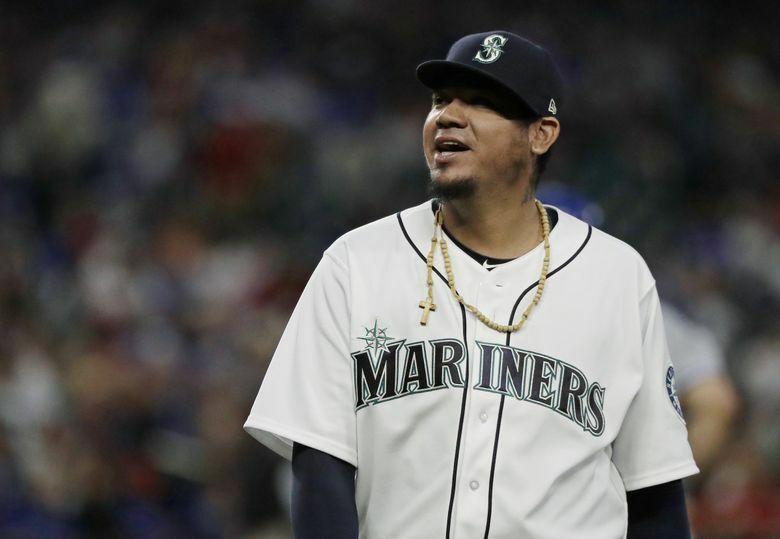 There is a predisposition, I think, to find reasons to keep believing that King Felix – that term isn’t used much these days, and almost always with either sarcasm or irony — can somehow reinvent himself, not as an ace, but as a serviceable No. 5 starter. And on this night, you could, if you were feeling generous, allow yourself to reach that conclusion without excessive mental gyrations. There were times when he seemed in control of himself and at ease with his diminished stuff. Maybe that’s the biggest frustration of what Hernandez has become – the glimpses and flashes of games, or periods within a game, when you can see the faint outline of a re-invented Felix who can still thrive at age 32. Even after all those innings has taken away the dominator we savored for a decade. This was a night that, had it turned out differently, could have been the definitive end of an era, spelled out in black and white, rather than the vague netherworld we were left with. As such, I brought an air of nostalgia to the ballpark, allowing my mind to wander back to when Felix was in full possession of his power. I remembered his first start back in August of 2005, when the 19-year-old phenom was almost a mythical creature, based on the hype that preceded him. In his home debut five days later, Hernandez flashed for the first time, blanking the Twins on five hits over eight innings. His next outing, Felix struck out 11 Royals, and a legend was born. The game that solidified his incipient magnificence in my mind – and I was lucky enough to be there – was a one-hit shutout at Fenway Park on April 11, 2007, when he stole the spotlight from Daisuke Matsuzaka’s Boston debut. Soon, every start became an event, Happy Felix Day, and even if the Mariners didn’t always hold up their end by providing enough (or any) runs, Hernandez usually held up his. It has been a long time since Hernandez dominated like that. It’s a distant memory now, the bluster and swagger slowly receding as well, as Hernandez attacks a different challenge: Surviving.